An anonymous grid message early in the morning sent me the images you'll be seen in this report. At first I could not recognize who this nanomage was, but after careful review of the information sent with the holo-pics, I have no doubt of the identity of the individual. It was none other than retired Commander Windguard, former founder of Mercury Dragons Clan which was recently disbanded by his son. Is it as a coincidence? or a plot to remove one of the oldest military organizations who existed among the clans? 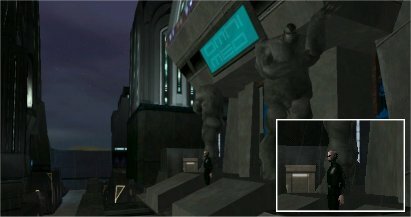 You see Mr. Cory "Windguard" Wagner apparently coming out of the main Omni-Med building in Omni-Headquarters inside Omni-1. A closer shot, show him to be without expression, as if he was used being in the place where most clanners would certainly find themselves uncomfortable. Omni-HQ is the place from which Omni-Admin and all Omni-Tek Department Directors control and direct corporate interests on Rubi-Ka. It is has been the goal of most clans, to reach this place, and turn it into ashes; yet Mr. Wagner stands emotionless in the middle of Omni-HQ, not far from the best trained Omni-AF personnel patrolling the area. A third holo-pic, which zooms on the former clan leader, shows he is wearing an Omni-InternOps uniform! The same day I received these holo-pics and information, I noticed that Mercury Dragons Clan was disbanded by his son, with little explanation. I tried to reach Commander Windguaerd for a comment, he was not available and has not replied to any of the messages I left on his COMM. Wagner senior was coming out of Omni-Med, and he was wearing an InternOps uniform. 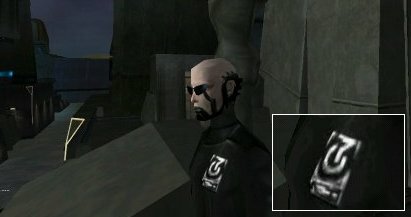 Even if he had changed his mind and switched sides, with his past I doubt Omni-Tek would allow a former military clan leader to be in InternOps, and since when is an InternOps officer allowed in the Omni-Med building? communication between departments are done through grid emails and Department Director Meetings at Omni-Admin. There is no reason for an InternOps member to be inside the Omni-Med building. Omni-Med has had a reputation among the clans, to use experimental techniques to 'brainwash' captured clanners, to extract information, or make them believe their struggle is futile and then send them back to clan territory to lower the morale of other clanners. 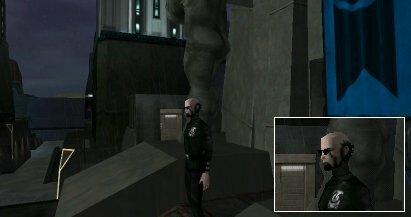 Is it possible that Omni-Med 'programmed' Mr. Wagner to be an InternOps officer? The retired leader had left his son in charge of the clan he founded in 29475, and stepped down due to illness. He had been poisoned in 29476 by a Special Ops Omni-Tek Department which wanted to kill all clan leaders to weaken the clans. Wagner senior was their guinea pig. He lived in stasis for months while clan doctors were working on finding a cure, for the deadly virus that was undetected by insurance technology until it was too late. A cure was found eventually, however in the process it left the former Commander unable to perform his duties as a military leader, unfit for combat. How can a man who retired because he could not fight his enemy, join them? Did he have a change of heart or was he brainwashed? Was Commander Windguaerd blackmailed into disbanding his clan? or did he do so out of shame when he found out that his father had joined his enemy? Many questions remain, however the fact is that there is one less clan for Omni-Tek to worry about, Omni-InternOps has an officer who was more than once inside the Council of Truth building, knows the history and background of many clans, may have classified information from his days back when he was a leader and could be in possession of the very valuable 'Council of Truth' invitation card, which still works at the main entrance of the CoT building in Tir. The Sentinels better change the locks on that door, or they may find themselves facing their enemies in the most unlikely place of all.